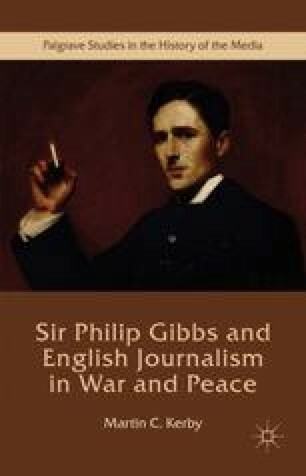 Kerby discusses the interwar years by investigating the work of famous author and journalist Sir Philip Gibbs. He reported on the Versailles peace treaty, the League of Nations, the impact of the war in Britain, France, Germany, Austria, Italy, and Hungary, the USA, civil war in Ireland, famine in Russia, the French occupation of the Ruhr, the rise of fascism, and Appeasement. In addition, he was the first journalist to interview a Pope. His political reportage included extensive discussion of social and political life in Britain. His writings on the war were part of a re-evaluation of the conflict articulated using a ‘soldier’s rhetoric’, a style view which continues to inform modern scholarship.